Another SEA 5000 Future Frigate bidder has signed a memorandum of understanding (MoU) with the Welding Technology Institute of Australia (WTIA) to train welders building Australia’s next generation of warships. The MoU between Fincantieri and WTIA will explore co-operation in the design and development of new welding solutions and techniques for shipbuilding in Australia. The partnership will see co-operation across training, qualification and the certification of welders in Australia. It will also see the joint development of new welding and testing procedures, a welding technology and knowledge transfer from Fincantieri’s Italian shipyards, and ongoing industry integration and co-operation. 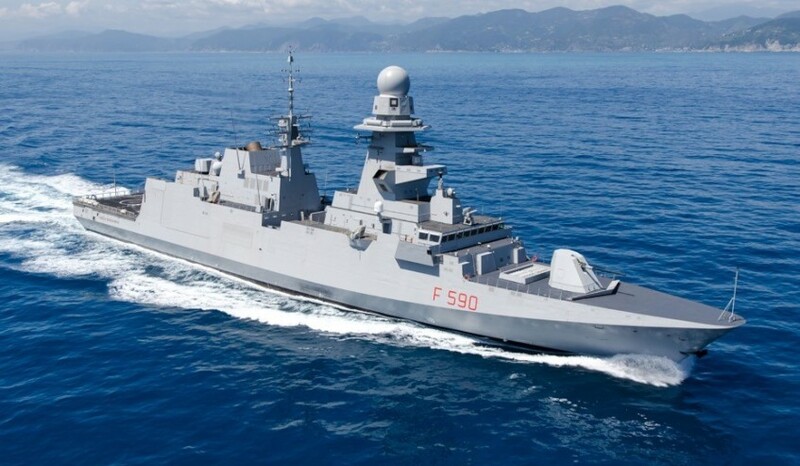 The agreement also involves Fincantieri subsidiary CETENA, a subsidiary company of Fincantieri, which undertakes research and consultancy programs in the naval and maritime fields, and Istituto Italiano della Saldatura (IIS), the national institute of welding in Italy. According to the agreement, the four organisations will work together to design, develop and implement new and innovative welding production techniques and processes that will provide improved welding solutions to the commercial and naval shipbuilding industries in Australia. Director of Fincantieri Australia Sean Costello said the MoU demonstrates the shipbuilders intent to transfer knowledge and technology from its 20 shipyards across four continents to Australia. "Fincantieri has an industry plan to develop a continuous naval shipbuilding industry that will enable Australia to design and build new vessels," Costello said. "This MoU with the Welding Technology Institute of Australia, CETENA and Istituto Italiano della Saldatura, not only demonstrates co-operation between Australian and Italian industries, but shows that we are deeply focused on using our global experience and strength to help grow the skills and capabilities of the workforce, by bringing best practice in welding solutions and techniques to Australia. "As part of this agreement, we will work together to ensure the co-operation between the Italian and Australian commercial and naval shipbuilding industries, develop joint training and certifications for local welders, as well as develop joint welding and testing procedures." Chief executive of WTIA Geoff Crittenden said the institute is dedicated to seeing Australian welders deliver quality defence equipment. "The WTIA is committed to ensuring that all new defence equipment is built by Australian welders and that defence contractors have no reason or excuse for importing skilled labour to deliver these projects. The signing of this MoU will help ensure that Australian welders, suppliers and contractors have access to new technology and techniques," Crittenden said. WTIA signed an MoU with another SEA 5000 bidder, Navantia, last November, with the organisations agreeing to establish an Intelligent Welder Training Facility in Adelaide, equipped with the latest augmented reality simulators and welding systems and will run accredited assessments, improve skills of tradespeople and boost the supply of ‘gate-ready’ welding graduates to the defence shipbuilding industry.